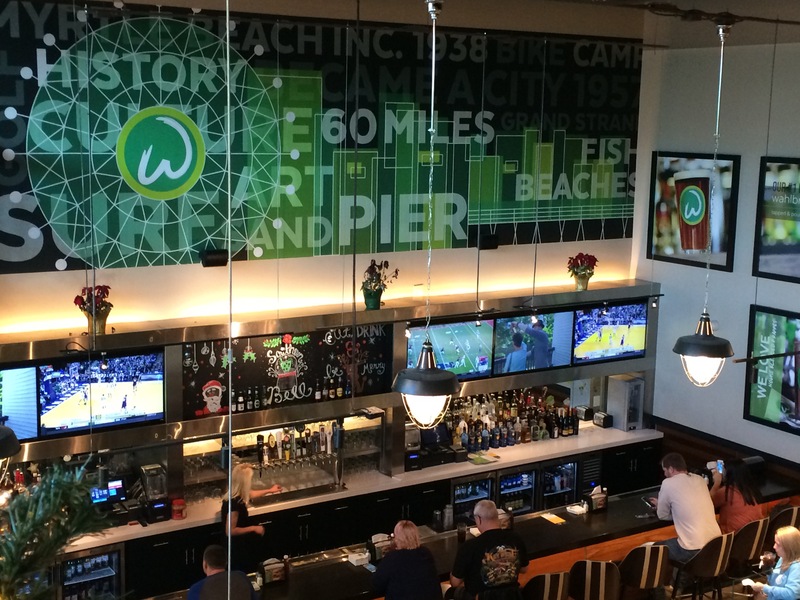 Let me start this post by saying I’m a Wahlburg fan and we were extremely excited for a Wahlburgers Myrtle Beach experience! Did it live up to all the hype? Keep reading! Let’s go back in time for a moment. Join me, won’t you? My love started with Donnie during a late 80’s New Kids on the Block phase. There’s pictures somewhere that include huge hair and neon colors. I’ll spare you. You’re welcome. Then came Marky Mark and the Funky Bunch with their good vibrations. Little bro was also good time. What’s been funny is how this Wahlburg family never really went away. Mark developed a fantastic movie career and then Donnie popped up on TV. Then there was that whole NKOTB reunion situation and the underrated hit, Rock This Boat on the Pop network. Seriously, you have to check it out. I keep trying to talk my cousins to take the cruise with me! For the past few years, my husband and I have loved the Wahlburgers show on A&E featuring Paul Wahlburg and much of the Wahlburg family. There’s just something about the show that makes you feel like you’re part of the family. 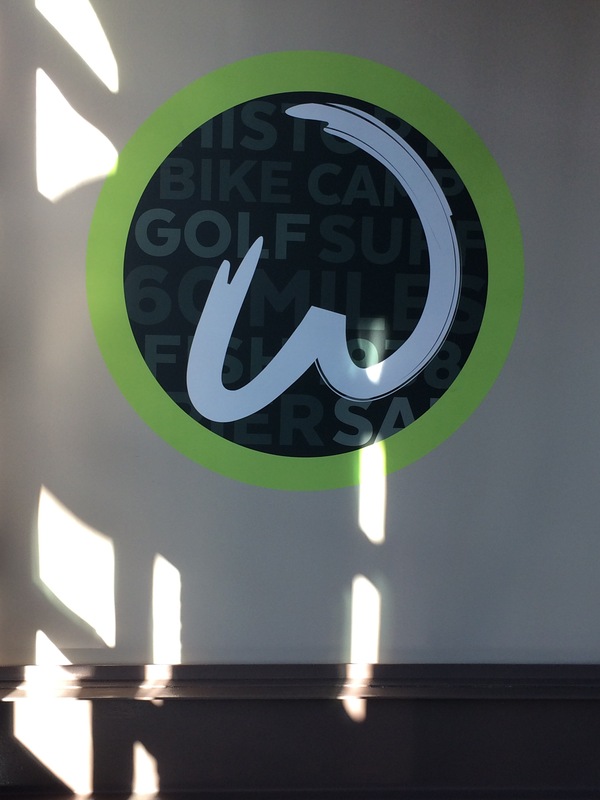 Call me crazy, but we’re hooked and were totally geeking out at the news of a Wahlburgers coming to Myrtle Beach. This weekend we finally got there and here’s the report. First, let me talk about the changes happening at Broadway at the Beach. There are parts that are a full out construction zone, but I like what I see. The Celebrity Square area, where Wahlburgers Myrtle Beach is located, is getting a much needed update and it’s looking great! On one corner is the new Hard Rock Cafe, on the other is the new American Tap House, then there’s that beautiful green and white logo I was dying to see…Wahlburgers. When you arrive, there are two options. You can either have a full-service experience, or you can order at the counter and eat upstairs or in the outside seating area. Full-service was full when we arrived, so we walked up the counter, ordered, and went upstairs. We were given a pager, which alerted us when the food was ready. The wait was not long. 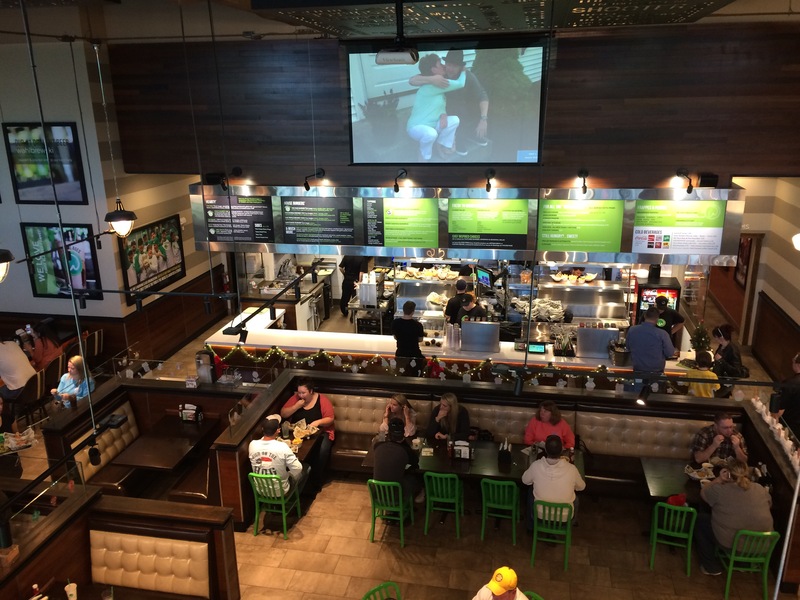 If you’re a fan of the show of the Wahlburgs, in general, you’ll love the interior. There are photos of the family everywhere including a huge television with snips of the show. 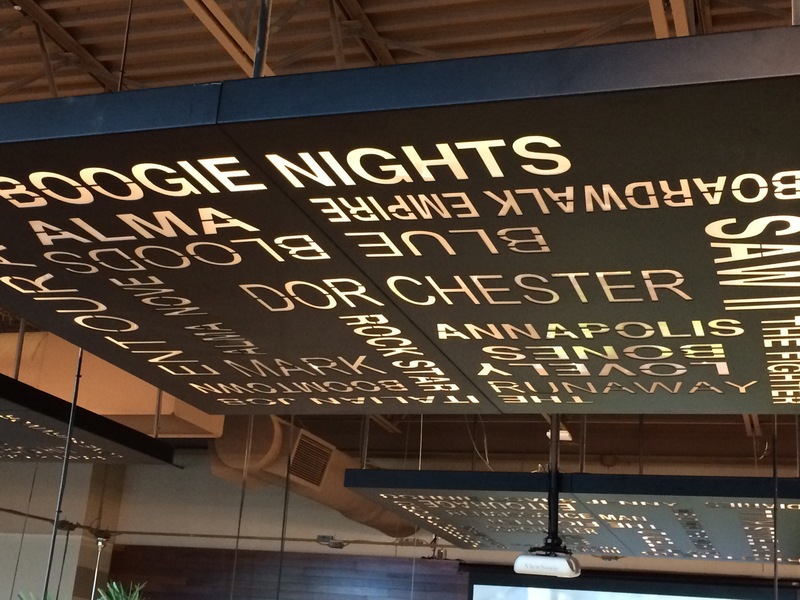 The ceiling features family buzzwords. Another wall was like a tag cloud for Myrtle Beach. One feature I know families will love are the acoustics. The restaurant is loud. Not overwhelmingly loud in a way that makes you want to get out of there. But instead, there’s a level of noise that allows families with little ones to enjoy their meal without panicking about disturbing other diners. The menu isn’t huge, but has a great variety. Everyone in our family except our youngest, got burgers. 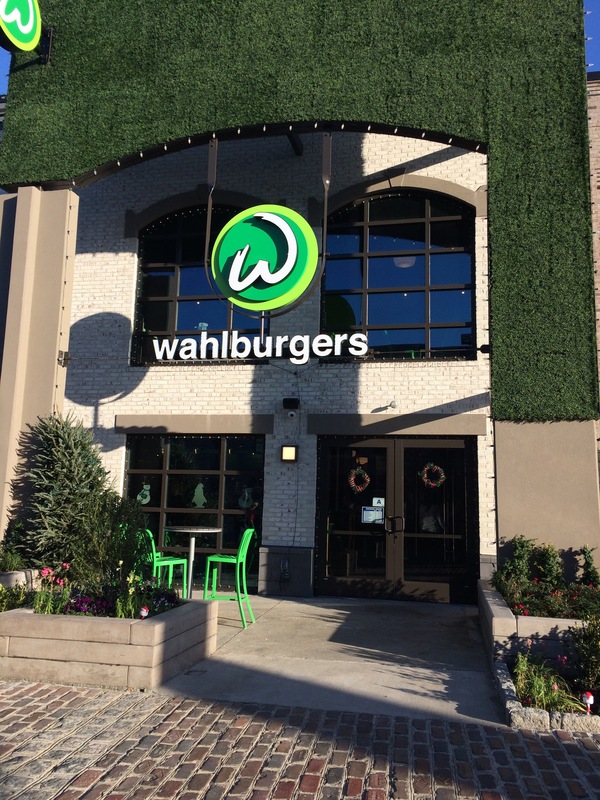 Hey, if you’re going to call it WahlBURGERS, you leave us with no choice. We need the burgers. I got the Our Burger, my husband got the Double Decker, and my daughter got Dad’s Basic Burger. The little one got the kid’s chicken tenders. One day I’m going to break her of that habit! We split up the sides – one of us got fries, another got tater tots, and we finished up with onion rings. Everything we had was fresh and incredibly tasty! The homemade pickles and Wahlsauce were both top on my list. For three burgers, three sides, four drinks, and a kids’ meal our total was just over $53. A little price for burgers? Yes. Worth it? Yes. These burgers are of higher quality than most in the area, without question. 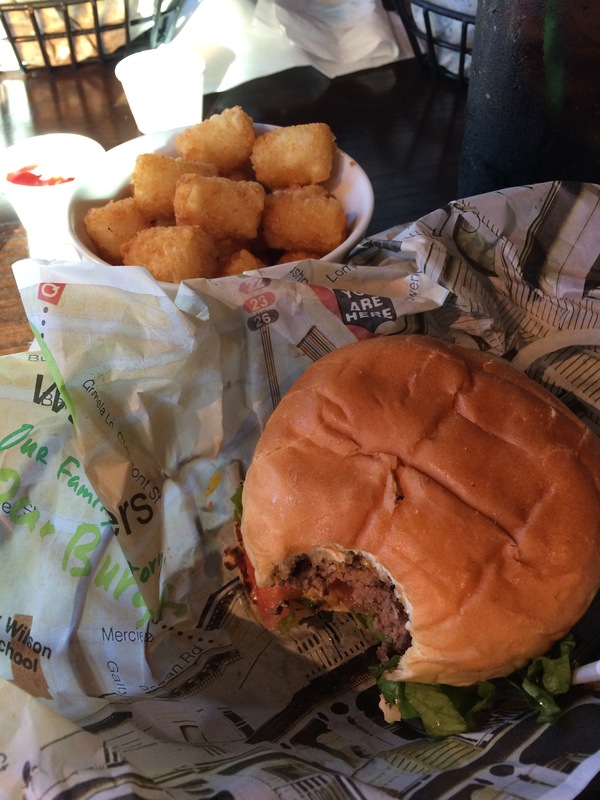 Wahlburgers Myrtle Beach was not just delicious, but a fun overall experience. We’ll definitely be returning! Want to learn more? Connect with them on Facebook or Twitter! For more Myrtle Beach and Grand Strand restaurant reviews, click here. Well after all the hype around Wahlburgers Restaurants after watching their TV shows as well as my family relocated from the Boston area, I learned that they opened one up where I live in Myrtle Beach located at “Broadway at the Beach” My family drove down and as expected there was a wait, (Not bad about 15 minutes) When we were seated we all ordered our food and we started by ordering Frappes which took about 15-20 minutes to get; after patiently waiting an additional 15-20 minutes for our food to arrive we found the burgers to be disappointing and tasteless, my burger was so rare that blood was dripping all over the place, I had the waitress take it back and cook it more. The bill arrived for 3 people ordering burgers, fries and a Frappe cost $63.00 I would have been much happier going to Wendy’s and getting the 5 for 5 deal and would have been much more satisfied and tasted 100% better. I know that Wahlburgers is a growing franchise but I would think that prior to opening the staff would be adequately trained to assure they lived up to the original restaurant. This was extremely disappointing and I would not go back again. Totally agree with you Rick. I went and found the food to be over priced. To me it tasted like a frozen Walmart burger and the fries didn’t taste fresh, more like frozen from a bag. It wasn’t filling by any means. The staff was good just the food was over hyped.